Pumpkin Everything! 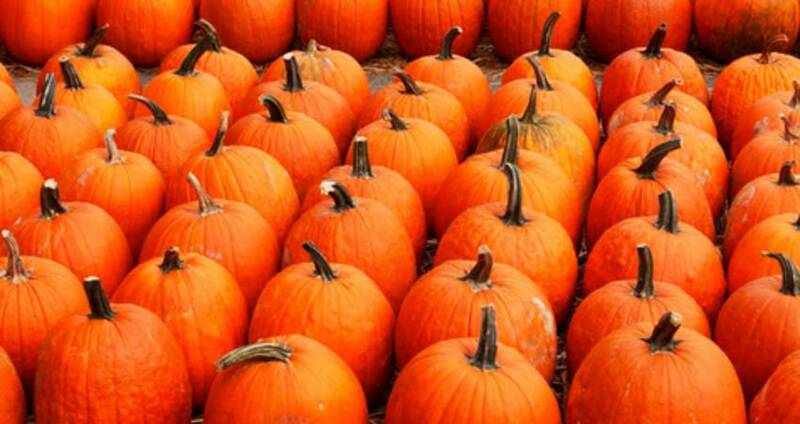 11 Pumpkin Drinks and Foods to Enjoy This Fall in Raleigh, N.C.
Love a #PSL? The Morning Times&apos; Pumpkin Spiced Latte is crafted with rich spices and Counter Culture Coffee. Head to their relaxed upstairs area to sip on your latte while cozying up with your favorite book. Pastry chef Daniel Benjamin is featuring a special cake at lucettegrace this fall called the Foglie d&apos;Autunno. This pastry includes spiced pumpkin mascarpone mousse, roasted pears, gingerbread and pecan cake. Plus, you can enjoy this special treat along with an espresso drink crafted with lucettegrace&apos;s house-made spiced pumpkin pie syrup! Don&apos;t forget to pick up a few Pumpkin Pie Macarons to take home with you, too. Located in downtown Raleigh and known as one of the best restaurants in N.C., Bida Manda features a menu consisting of dishes that can be found on the street corners in Laos or at a Laotian home. Warm up on a chilly fall evening at Bida Manda with a giant bowl of Pumpkin Curry. House-made yellow curry, coconut broth and local root vegetables, including pumpkin, are served with jasmine rice. Brewed with real pumpkin, a secret blend of spices, a dash of mystery and some ancient alchemy, this subtly-seasoned fall ale will surely conjure up many memories of holidays past. Not overly spiced, but you&apos;ll taste cinnamon, nutmeg, brown sugar, clove and vanilla. A favorite and a staple pumpkin beer in the Raleigh area! Fall doesn&apos;t have to be all about pumpkin spice! The Big Easy is celebrating the cooler weather with a special called the Zingy Creamy Pumpkin Pasta. This creamy penne pasta is made with sour cream, parmesan cheese and pumpkin, then tossed with vegetables and spicy andouille. What a fun, Cajun spin on pasta during the fall. Executive chef Dean Thompson of 41Hundred was gifted the secret recipe for hot cheesecake from his mentor chef Dean Wendel. Only these two Raleigh chefs know this special recipe, and during fall you can try the pumpkin flavor. The cheesecake is served straight out of the oven, so it&apos;s warm and has a souffle-like consistency with a sweet graham cracker crust bottom layer. The town of Cary&apos;s brand-new ice cream shop is scooping out their newest flavor all season long, Pumpkin Spice! Andia&apos;s Homemade Ice Cream is a family business, and their flavors are made with quality, fresh ingredients. We highly recommend topping your Pumpkin Spice ice cream with whipped cream and free sprinkles! The Pumpkin Bread at La Farm Bakery is made with a winning combination of fall spices and topped with toasted pumpkin seeds. This is the most popular of the sweet breads available at the bakery during the holidays, so be sure to pick up a loaf as soon as you can! For other delicious offerings that include pumpkin, try the Pumpkin Spice Challah, Pumpkin Harvest Tart and the Fall Harvest Bread. Crank Arm Brewing has brewed up a new twist on a fall classic in the heart of downtown Raleigh. Their Pumptrack features a traditional English-style porter as the base with added lactose. Crank Arm then adds 80 pounds of roasted, locally-sourced pumpkin into the mash and pumpkin pie spices to the boil. Cheers to fall, y&apos;all! Located in North Raleigh and on Hillsborough St., Jubala Coffee has a great selection of seasonal offerings including coffee and waffles. We couldn&apos;t think of a better way to start our morning than with a Pumpkin Waffle and Pumpkin Brown Sugar Latte! After helping to harvest 130 pounds of N.C. pumpkin, Compass Rose smoked them over apple and cherry wood chunks and mashed them into a blonde ale. Smoke&apos;m Ifya Gourd&apos;em! is their newest autumn beer and also features a blend of freshly-ground spices to create an ale with a pumpkin-pie aroma. Looking for more places to get pumpkin spiced lattes, specifically? Look out for the pumpkin goodness at even more coffee shops around the Raleigh area. Check out the list of shops, here!